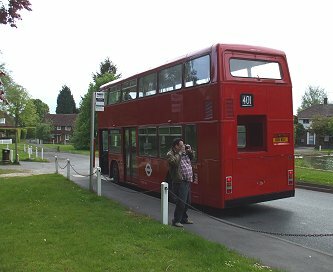 Prepared by Ian Smith, 2nd June 2010. When I consulted the timetable I found that there were not many more buses going out (and back). I had twenty minutes to wait for RF168. 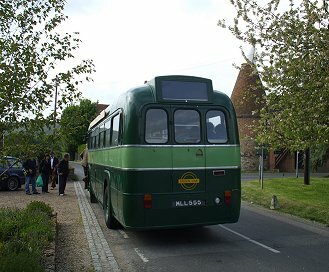 Meanwhile there was plenty of activity in the bus station. 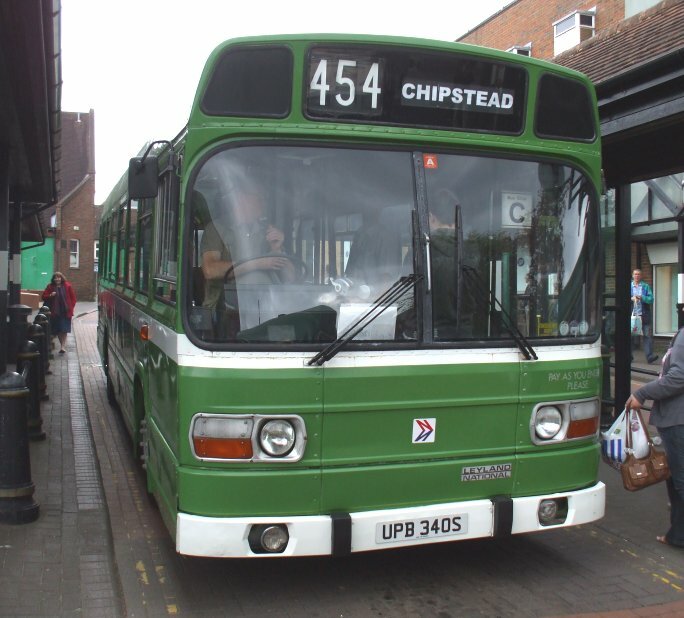 XF3 squeezed out after a trip on the 402, and SNB340 was loading for Chipstead on the 454. 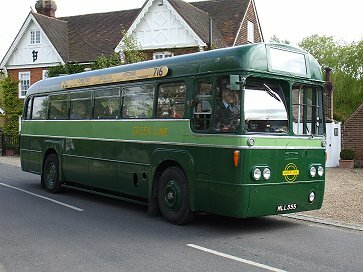 I went for a cup of tea: like deja vue, the Go-Coach DMS19 came through again, heading for Chartwell. 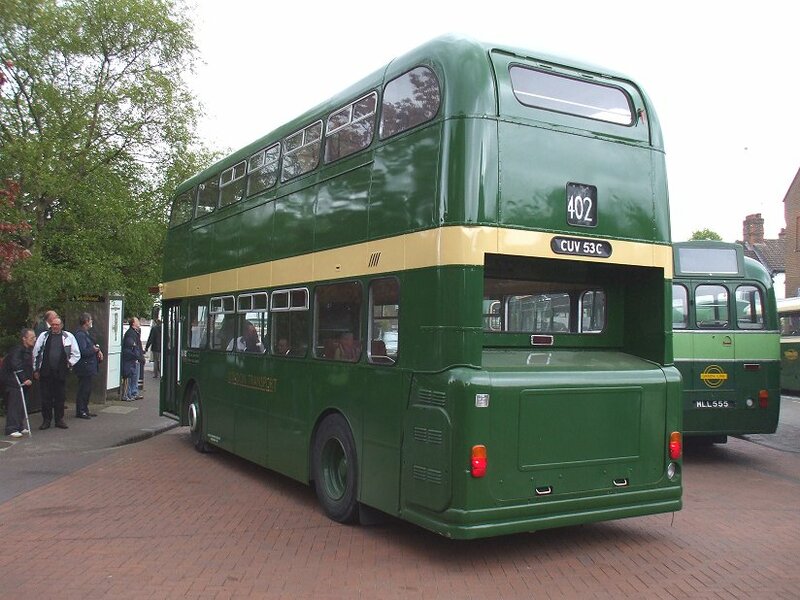 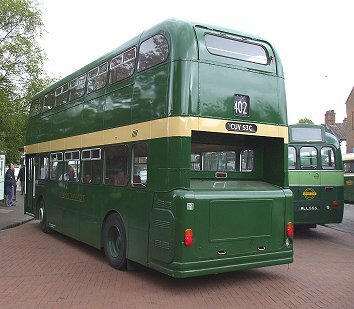 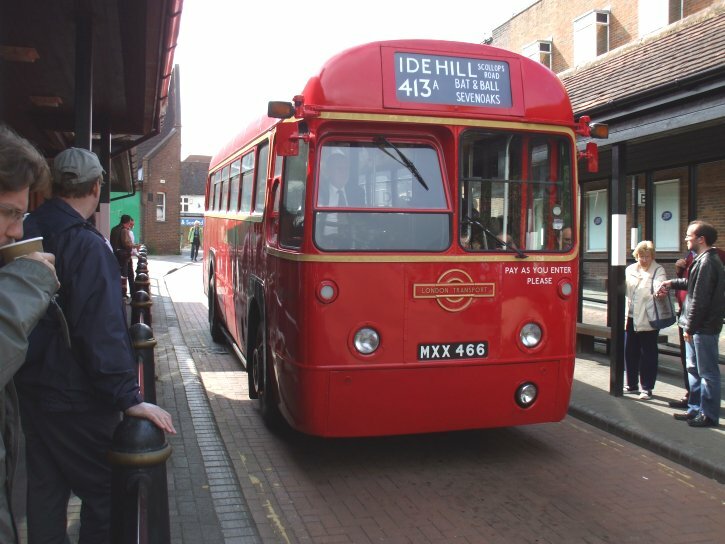 RF489 came in with a 413A to Scollops Road, and I was asked if I fancied the trip. Well I did, but I wanted more the trip to Heverham, so I declined. SO43 arrived too, back from a trip on the 55 from Kemsing. 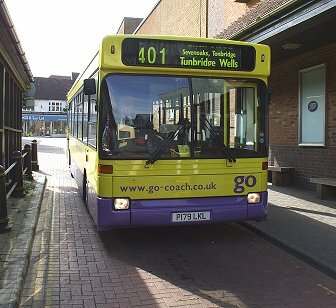 The other Go-coach bus on today's 401 service, Dart SLF 3179, came through the bus station on the 401 to Tunbridge Wells. 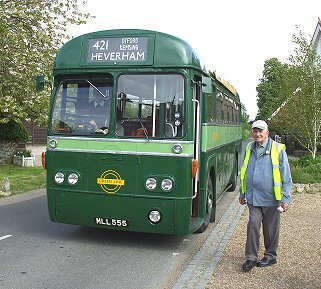 Into the other bay came RF168, now set up for the 421 to Heverham (as LT called it). 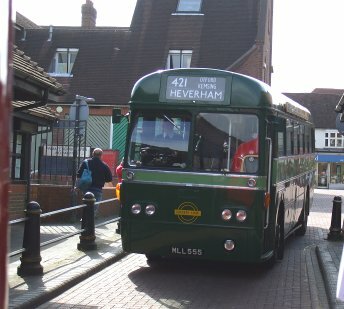 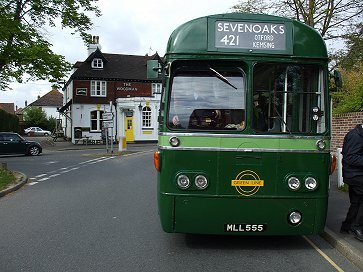 I bagged the "conductor's seat" behind the driver - a single transverse seat peculiar to the Green Line RFs, and we were off, out through Sevenoaks High Street and chortling down through St.John's. We paused to set down at Bat & Ball, then continued north to Otford. 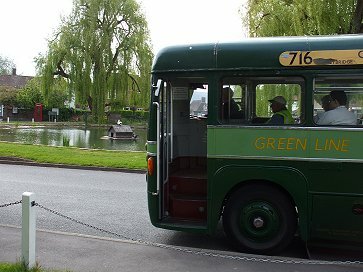 We passed the Pond and the Station, and turned right onto the Pilgrims Way. 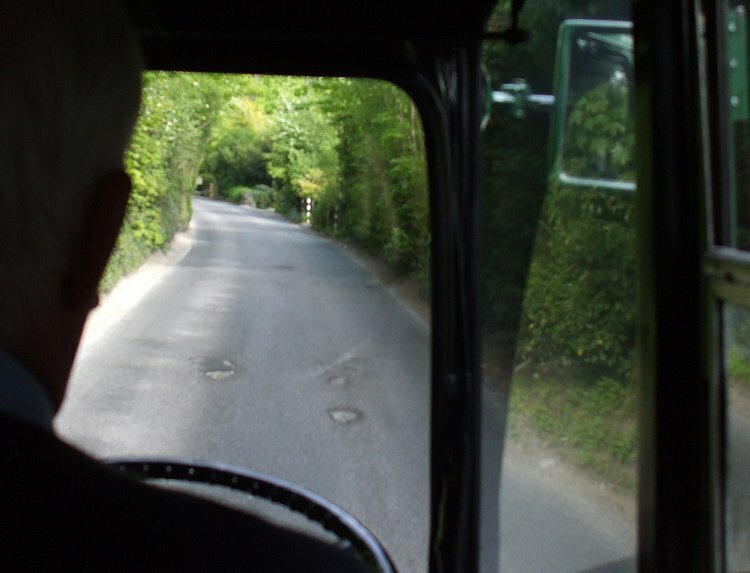 Even for a RF this is a narrow road, and several times we had to breathe in for passing traffic. At Kemsing we turned down the hill to the lower road, which we followed through the congested village centre. 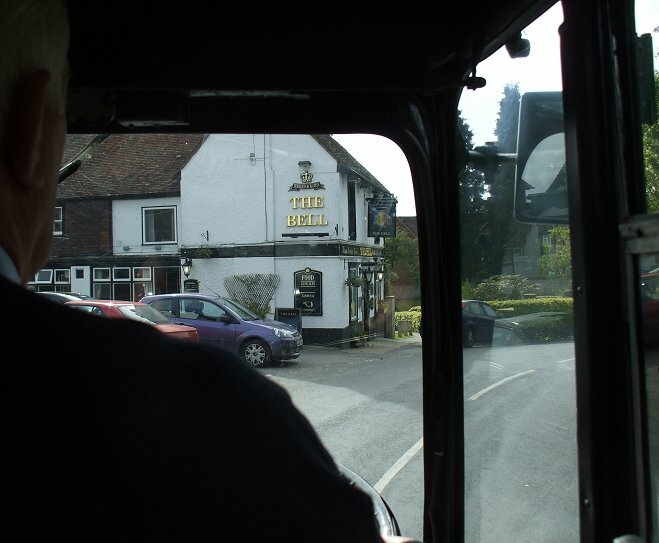 We continued along the face of the North Downs to the edge of Heaverham (as Kent calls it), and turned at the oast house. We loaded up again, and retraced our route through Kemsing and up onto the Pilgrims Way. At Otford we turned down the hill past the station and pulled up behind T1101 at Otford Pond. 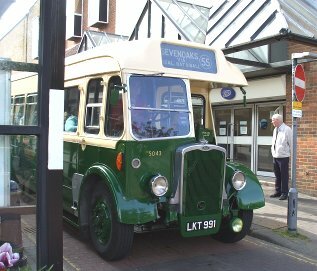 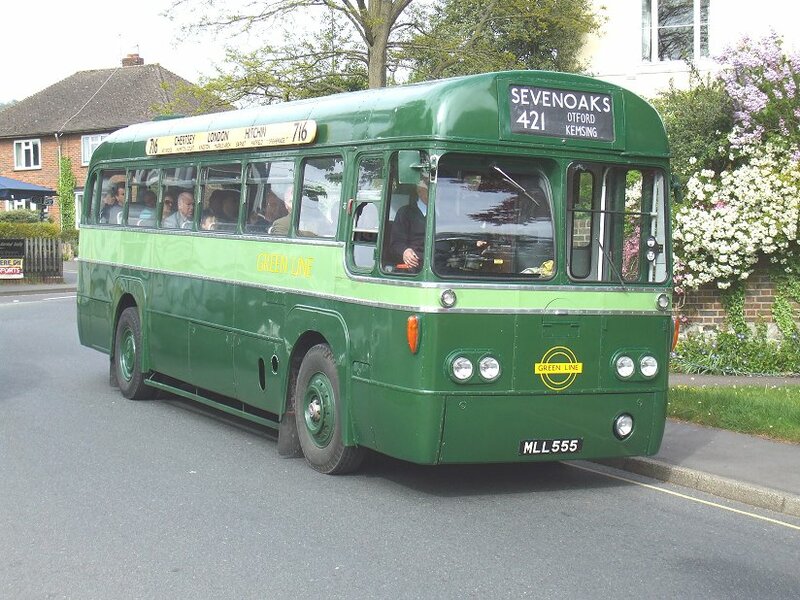 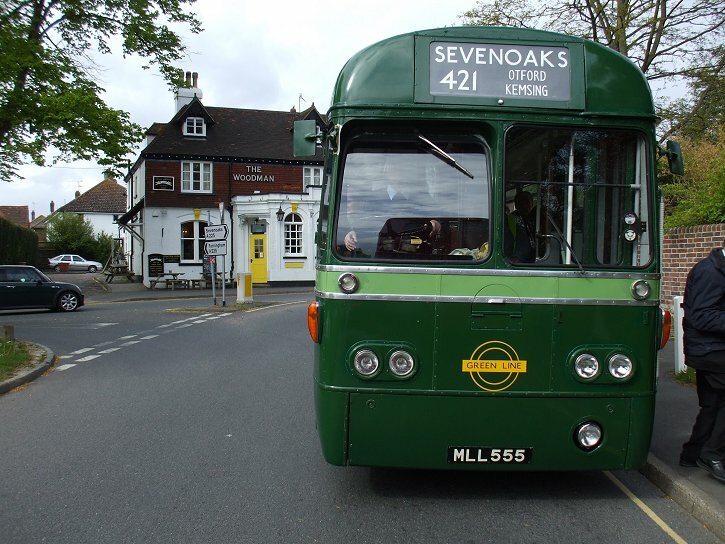 After photos of the buses and the Pond (with the duck-house) we rejoined and headed back to Sevenoaks, arriving in time for the homegoing departures of the day..